Nutfield Church Primary School welcomes Bishop Ignatius! The Anglican Church of the Province of Central Africa sat in elective assembly in the Cathedral of St Cuthbert in the Diocese of Central Zimbabwe in Gweru on Thursday 22nd March 2018 in order to elect a new bishop. This followed the notice of resignation by Bishop Ishmael Mukuwanda who will attain his canonical age of retirement later next month. 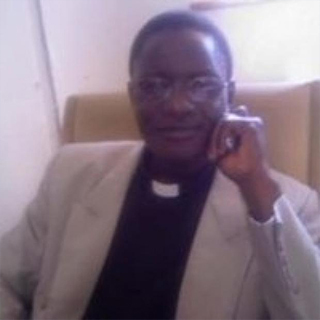 The Revd Dr Ignatius Makumbe was elected to succeed Bishop Ishmael. Dr Makumbe is a non stipendiary priest in the Diocese of Central Zimbabwe. He holds a doctorate certificate in Social and Human Studies specialising in Conflict Management and Transformation. He also holds a Masters in Business Administration as well as a Bachelor’s degree in Accounting Science. Dr Makumbe began his professional life as a high school teacher after obtaining a Certificate in Teacher Education in 1993. He was born on 10th October 1962. Dr Makumbe was ordained in 2000. He’s currently the Rector of St Andrew’s Church in Gweru. He’s also the Diocese ‘ s Chief Auditor. Following his election, Dr Makumbe will be subjected to 28 days’ wait with immediate effect for the Court of Confirmation to convene and confirm his election as the next Bishop of Central Zimbabwe as per requirement of the Regulations and Canons of the Province. The election began with a solemn Eucharistic Service that was presided over by the Archbishop of the Province, the Most Revd Albert Chama. The lessons came from Exodus 18.13-24 and Mark 10.35-45.